It's hard to accept that not so long ago, jeans were a major no-go at the office. Luckily, these days we can wear the staple to work stress-free; the secret is getting the styling right. On the weekend, wearing them with a sweatshirt and sneakers is the way to go, but Monday through Friday, it's all about giving them a dressed-up spin. To help inspire you with some fresh ideas, we tapped Who What Wear's edit team to share the ways we're wearing jeans to work right now. Together, we're presenting the outfits that are currently inspiring our office style. Some are extra polished while others are perfect for a more casual office setting. Whatever your dress code may be, you'll have some major inspiration, along with shopping to help you put each look together. 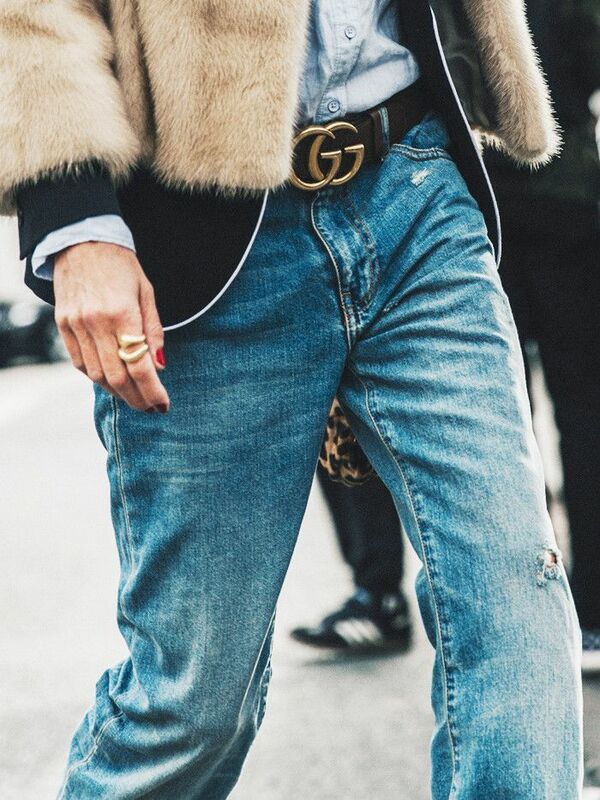 Read on to see the jeans ensembles we're loving right now! "Whenever I wear jeans to the office, I include a polished third piece like a sleek blazer, as it makes the outfit feel more professional. A tucked-in blouse and block-heel shoes complete the equation." "As with the rest of my wardrobe, my favorite denim look for the office is unfussy with just a few thoughtful, quirky details that really make all the difference. In this case, it's the ruffled neckline, the bold color of the handbag, and the slight flash of gold jewelry that make this straightforward getup feel special while still keeping it professional." "A blazer is always the best way to get away with wearing something not-so-work-appropriate to the office. Largely thanks to Balenciaga, a plaid iteration happens to be the most current iteration." "You can get away with a simple denim outfit at the office if you wear the right pair of shoes, like these amazing heels. That's why my go-to denim look always includes a pair of eye-catching heels." 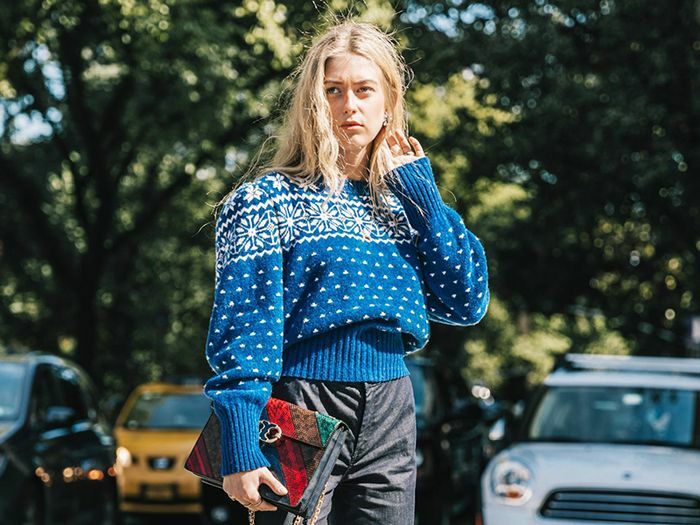 "This season, I'm dressing up my denim with a statement sweater and unique heels. It's a low-effort, high-impact approach!" "To make jeans and a T-shirt feel a little more polished, I'm adding sleek boots and a cool bag." "Two things I love are jeans and repurposing going-out tops. So naturally, I love this look because it combines both. By pairing a long-sleeve with a cami and opting for heeled ankle boots, you get a look you can wear from day to night." 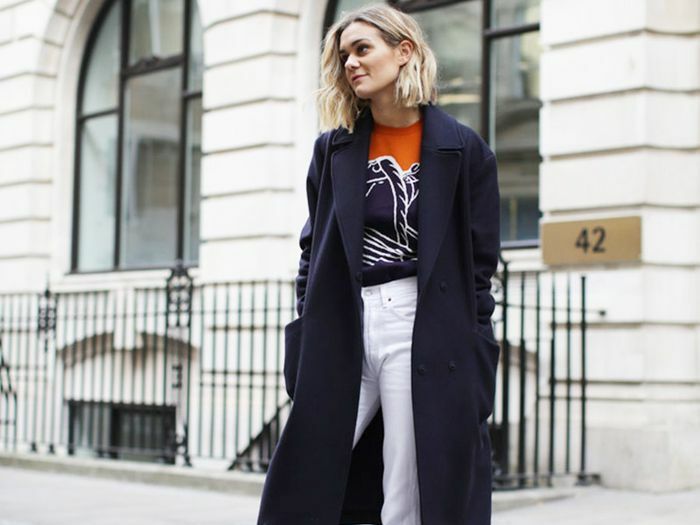 In need of more casual-cool office style ideas? Check out these sneaker looks you can wear to work!